Previous studies of urban environments have well established the importance of public open spaces (POS) to urban microclimates, environmental quality, public health, and social interaction. This is especially true in densely populated Hong Kong, where residents often have small private living quarters. In Hong Kong, POS are not evenly distributed. While some neighbourhoods enjoy a relatively generous provision of POS, others have far below the Planning Department’s guideline of two square metres per person. 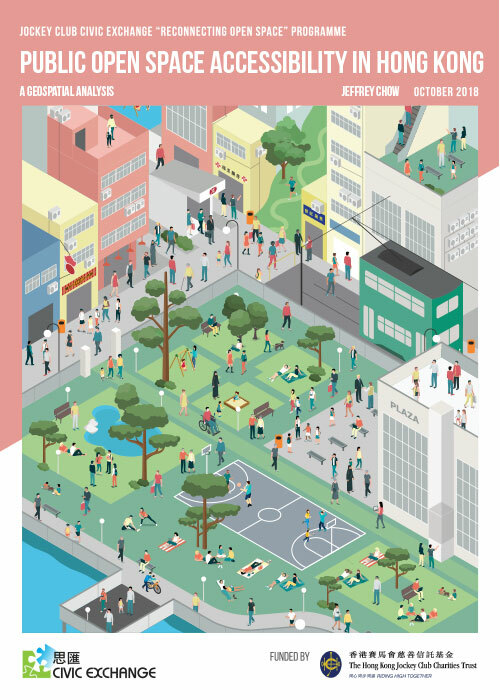 This study investigates how this uneven distribution of open space may affect the lives of Hong Kong residents in terms of their psychological welfare, their open space usage and their attitudes towards open space. 1. What is the relative distance to various types of public open spaces for the residents of Hong Kong? What percentage of residents has comparatively easy access to these spaces? 2. How is this distance related to people’s attitudes towards public spaces, their recreational behaviour and their self-assessed personal well-being?